Soon and very soon my art partners Mary Rose and Violetta will visit me. 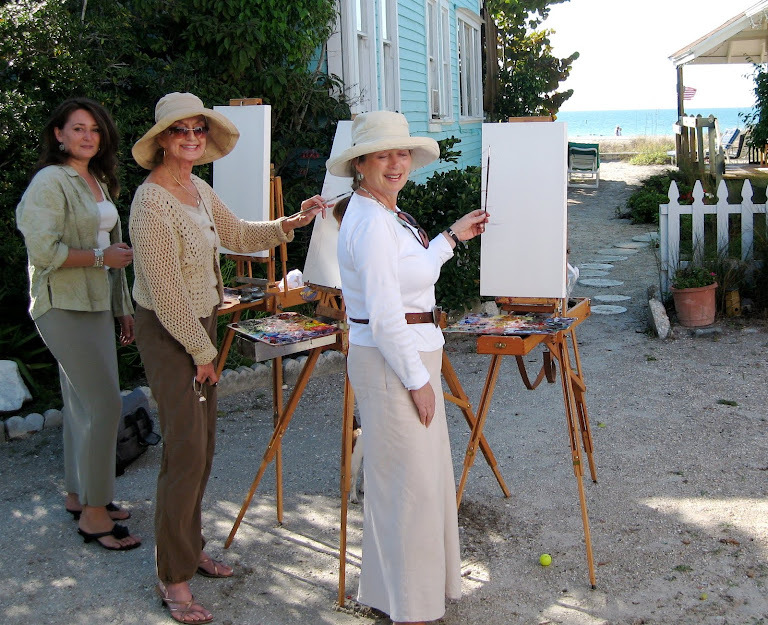 I am thrilled to entertain them and look forward to painting, en plein air. Several friends want to meet with them. I think some of their paintings will find new homes here. We are counting the number of sleep and "get ups" till we paint the town. How is your summer? Is the living easy? Are you entertaining? I am so happy that you will all get to visit! I know that you are so excited. I am more than certain that the paintings will all find homes. You are so kind and supportive. I am counting the days till Mary Rose and Violetta arrive. Fun, fun. Looks like a creatively fun time ahead. Fun x 3 for sure. Helen I do love to see artists in action! 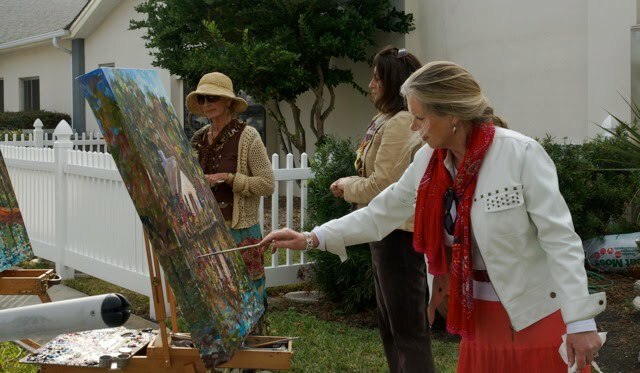 Creative workshops and plein aire painting are so wonderful! Thank you for visiting and I hope all is great with you and you are in good health. Violetta, Mary Rose and I aka "pleinairecottageartists" have been art partners for twelve years. We have travelled and exhibited tigether since then. We make a point of painting abroad at least once a year.